In today’s era, mobile apps have become the part of everybody’s life and businesses are looking more into it. With mobile app also comes mobile engagement. Wondering what is it? Mobile engagement is a term defined as a consistent interaction between the users and the mobile application for a long time. Interacting with the mobile app for the first time, users look for the easier and more convenient way to get their problem solved compared to other apps. For example, hotel app that provides complete direction to reach them is much user-friendly and rewarding to customers. Similarly, there are other numerous aspects that contribute to great user experience and ultimately an effective user engagement. Hence, mobile app engagement is the relationship between the app and the users. If the mobile app is engaging, it will retain the customers and if not then the users may never look back. The bandwagon of mobile apps has also brought with it a lot of confusion within the whole cornucopia of app features. Now, the users are flooded with a variety of apps to choose from. Among these numerous apps, there are only a few of them that are able to leave their print on the users and engage them for a longer time. There are various factors that boost user engagement making users be intact. When talking about mobile app engagement, it is not about coding or designing, but totally a different thing which needs to considered and built right from the foundation. 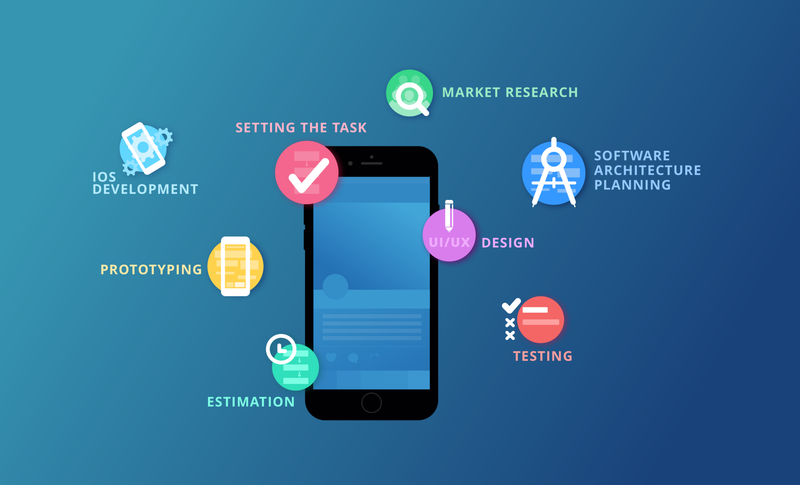 When the concept of mobile app development is initiated, it is crucial to start brainstorming on mobile app engagement. The solution to this problem is quite simple but when it comes down in real terms, it is quite tough to achieve. When analyzing the apps that have a huge user database, we can find that they always work to make user engagement simple and more personalize for the users to gain what they are looking for. Apps that do not allow users to leave them are the ones that engage the users most. Such apps need to be artistically designed with layered user experience as well as need to have an attractive yet simple design. The most effective thing is to bring forth the basic functionality to users at first and then gradually adding on the other features. Such a user experience entices users and retains them for a long time. For developing such a UX, you need to design meticulously without hampering the real purpose of the app. The most effective tool for developers and UX designers is Push notification for thrusting the app to the next level. The coupon codes, offers, milestones, app functionalities, reminders, and much more can be brought to the notice of users in a unique way. In case, the users are not aware of some of the special features then notifications can push them to unveil those unseen and unused features. It is also helpful to remind them about the unused coupons or codes in his/her account before they expire. The use of these push notifications will eventually help to increase your sales. Users get fed up with the same old things. To retain users, you need to always update your app with new and interesting things. Bringing in new changes to ease user experience will always engage and retain users. Lacking into this will let your users divert to your competitors’ apps that are offering new features and simple UI. Therefore, it is crucial to bring in revolutionary features along with makeover UI at regular intervals to engage and entice your users. Regular but not frequent updates can also help your app to be high on search results. To spear interest in your customers, advertisements are very helpful. Including ads in your app will not only increase app engagement but also helps in user acquisition. Putting ads on various media helps your app to get brand value and boosts its importance. This also helps you get prospective customers, and different ad models like CPI, which are streamlined for ad promotion are highly helpful. Added to this, social media is also an effective medium to catalyze the sale of apps along with proclaiming about the new updates, features and other interesting offers about the app. Google and Bing have unwrapped new features – Google app indexing and Bing massive indexing simultaneously. On the search engines, when the users browse for a service or product, the links of apps providing these services or products are also included in the search result pages. These links direct to the section of the apps delivering these services or products. This new technology is called deep linking and is beneficial to boost apps engagement.